Limestone City Dental Welcomes You! Our exceptional staff is here to treat you with the respect you deserve while helping you to achieve excellent oral health and a beautiful smile to last a lifetime! Feeling self-assured with a beautiful smile goes a long way toward improving your confidence and self-esteem! 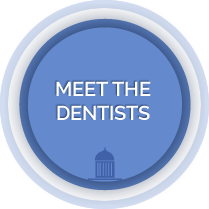 Kingston dentists Anna-Marie Fumerton Turney, DDS, Paul Lefebvre, RN, DMD, and associates treat each patient individually, according to their specific needs and wants. Our relaxed, professional atmosphere is just the place for you to receive the most modern dental care available. We also offer Invisalign® to help you achieve the smile you’ve always wanted. The owners of Limestone City Dental were raised in Kingston and have a deep appreciation for our community. We pride ourselves on providing comprehensive quality care to area families. Our exceptional staff is here to treat you with the respect you deserve while working with you to achieve the level of oral health you want. Our skilled dentists allow us to help patients with simple or complex dental cases. Conveniently located, we can ensure that you will always get the attention you need. 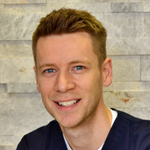 Limestone City Dental welcomes our new Associate, Dr. Darren Van Winckle, to our practice. With the addition of Dr. Van Winckle, we are able to serve you better with more appointment availability. Contact us today to schedule your new patient visit! Regular cleaning and oral examinations will reduce your risk of developing future problems. Our family dental services include routine cleanings, cosmetic dentistry and restorative dentistry. Our hygiene-oriented practice will teach you how to maintain your optimal oral health over your lifetime. We want to help you have a natural, beautiful smile that not only looks great, but allows you the full function of healthy teeth and gums. Ready to get the care you and your family deserve? Contact our office today!